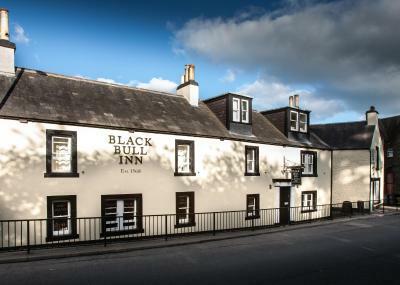 Lock in a great price for Black Bull Hotel – rated 8.9 by recent guests! Lovely room and very friendly staff. We will be back soon! Really lovely breakfast and nice beer..................in the evening! Its not perfect but the staff are friendly and try hard to please. Location is great. The town is glorious. The hotel is amazing. Beautifully refurbished in the main bar area and our room was really nice. Amazing shower room. Its a "little gem". Will definitely recommend and stay again. We were lucky enough to be there on their "steak" night. Meat sourced from the local butcher - excellent. 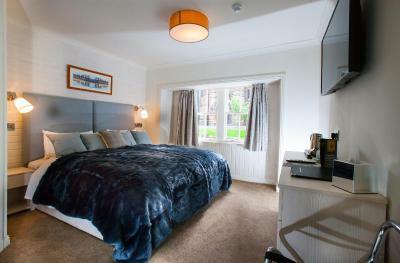 Excellent quality accommodation at a very reasonable price. Loved the dressing gowns supplied ! The bathroom and shower were great. The breakfast was excellent. Had the disability room which was helpful for us, clean and tidy, even had dressing gowns provided. 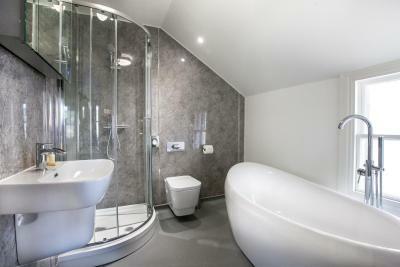 Good wet room with nice big fluffy towels. Good hearty breakfast. Special mention for Anna who was very welcoming and pleasant throughout our stay despite being very busy. Church bells were not a problem, stopped at 10pm and restarted at 7am. Great coffee. Lovely poached eggs on toast. Lovely Staff. 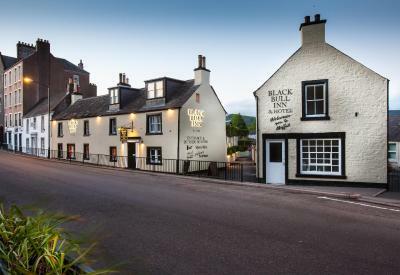 Black Bull Hotel This rating is a reflection of how the property compares to the industry standard when it comes to price, facilities and services available. It's based on a self-evaluation by the property. Use this rating to help choose your stay! 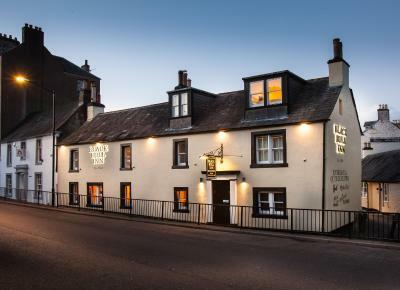 One of our top picks in Moffat.Robert Burns, Scotland’s national poet, once inscribed a window at this 16th-century hotel in Moffat’s center. 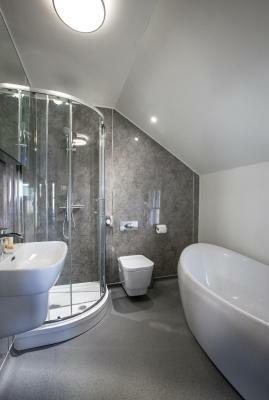 Each room has it's own en-suite with complimentary luxury toiletries, bathrobe and slippers. 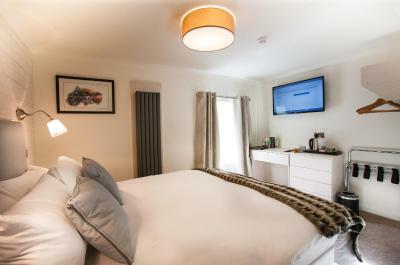 A flat screen TV is featured in every room, along with tea/coffee making facilities. 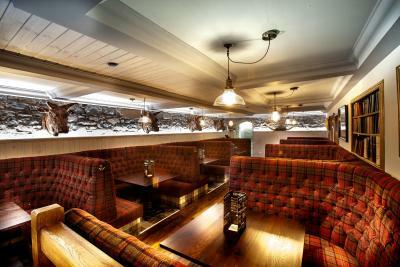 The in house restaurant offers breakfast, lunch and dinner with a large selection of whiskeys available from the bar. Moffat itself is surrounded by the Moffat Hills, which provide numerous opportunities for scenic walks. Edinburgh and Glasgow are just over an hour away by car, and Carlisle can be driven to in 45 minutes. 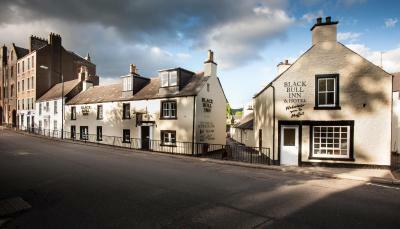 When would you like to stay at Black Bull Hotel? This family room has a flat-screen TV, bathrobe and electric kettle. 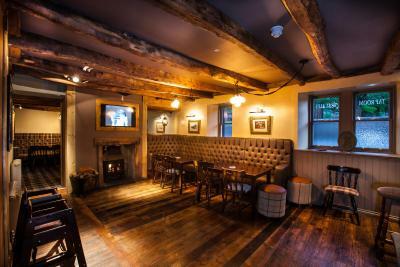 House Rules Black Bull Hotel takes special requests – add in the next step! 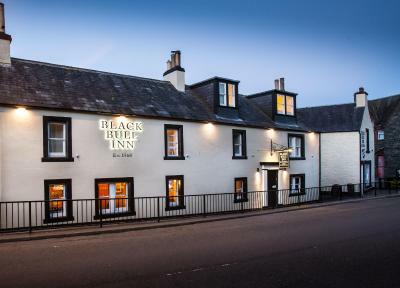 Black Bull Hotel accepts these cards and reserves the right to temporarily hold an amount prior to arrival. Please note that pets are only allowed in 2 rooms please contact the property for further information. Please inform Black Bull Hotel of your expected arrival time in advance. You can use the Special Requests box when booking, or contact the property directly using the contact details in your confirmation. Too expensive for a very small and stuffy room. Staff rushed off their feet, seemed to be short of a staff member in the bar/restaurant constantly; especially as it was Easter weekend, should have been more people available. 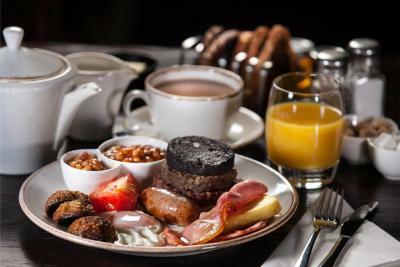 Great stay for our friends wedding in Moffat, very comfy beds and pillows and an excellent breakfast. The rooms were on the chilly side but once the radiator was put on they became very cosy. 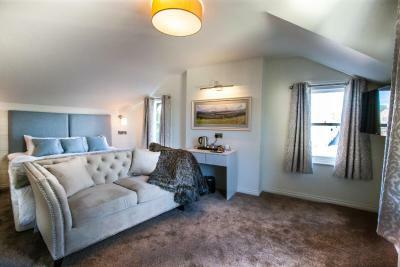 We had 2 lovely rooms (the suite was beautiful) in this very characterful old inn. It’s in a good location and the breakfast was excellent. Check in time, I was waiting for about 20 minutes trying to get checked in, the staff then started serving 2 other people before me, put a totally downer on the experience. Also they charged me twice for the room before I even arrived and really they should’ve called me to advise of this. The room was spacious and the food in the hotel was lovely. Menu was a bit restricted but what we had was very nice. 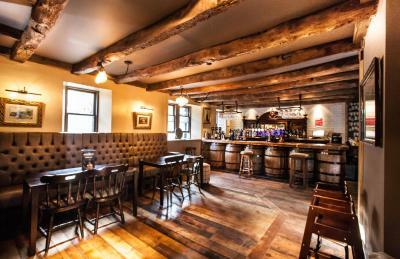 Very friendly staff, well appointed and comfortable rooms and nicely decorated bar and restaurant. Made us all feel very welcome and very children/ pet friendly. Food was delicious both evening meal and breakfast, rooms clean, modern and comfortable. Staff very friendly. 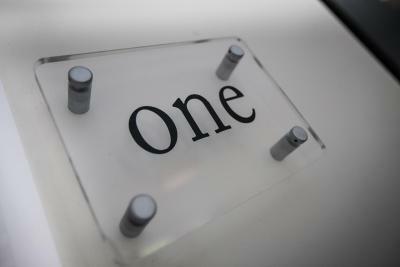 Brilliant hotel, friendly staff who make you feel so welcome, nothing is too much trouble. Can't wait to stay again. Couldn’t fault it, great historic inn. If we had to be picky, the shower cublicle is tiny but to be expected in a 500 year old inn...Fantastic food...try the haggis and Cullen Skink! 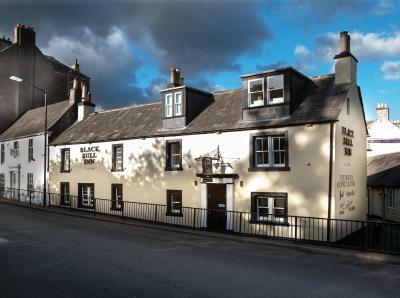 Loved the history of the inn particularly the Roobie Burns link! Beautiful meal served in the restaurant and the ambiance with the live music was incredible! The room was noisy near the road but a good door seal would sort this out. Very comfy bed and the room was very modern a great stay.